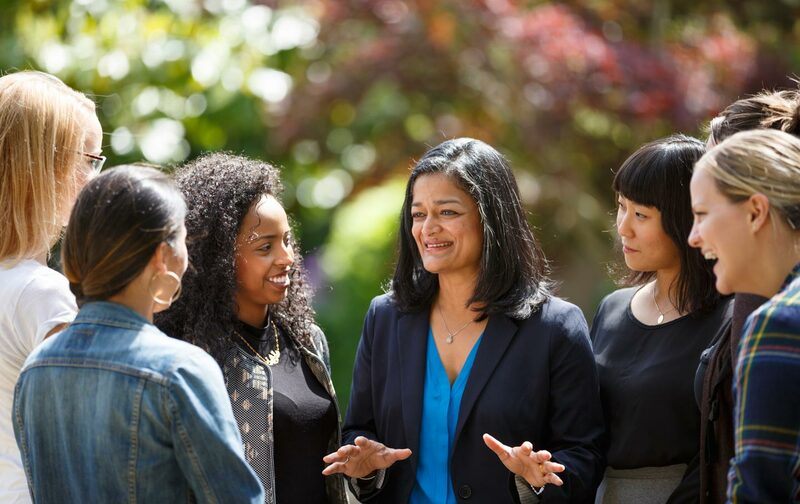 A smart organizer and a bold champion of progressive values, Jayapal will help transform Congress. Big primary wins by progressive reformers Jamie Raskin in Maryland and Zephyr Teachout in New York hold out the promise that House Democrats will be energized by the arrival of an activist contingent prepared to supercharge the inside-outside strategies of the Congressional Progressive Caucus, and to challenge the combination of corporate influence and reactionary ideology that has too frequently rendered Congress dysfunctional. But that contingent must be bigger and bolder if it’s going to crack the complacency of centrist Democrats and build the coalitions that will block the Trans-Pacific Partnership and secure a $15 minimum wage, as well as immigration reform that respects the rights of immigrants; urgent action on climate change; an end to too-big-to-fail banks; and real reform of a broken campaign-finance system. To that end, The Nation gives its strong endorsement to the candidacy of Washington State Senator Pramila Jayapal for the Seventh Congressional District’s open seat representing the Seattle area. Like Raskin and Teachout (both of whose candidacies The Nation has championed), Jayapal built a reputation as an activist before entering electoral politics. A native of India raised in Indonesia, she became a US citizen in 2000 and quickly emerged as an essential activist in the state of Washington. After the September 11, 2001, terrorist attacks, she formed the group Hate Free Zone to advocate on behalf of Muslim, Arab, and South Asian communities threatened by violence and discrimination. Now known as OneAmerica, the group has earned broad recognition for championing immigrant rights, for its focus on voter registration and participation, and for its innovative campaigns to make real the promise of American democracy. Jayapal also worked to create Seattle’s Office of Immigrant and Refugee Affairs; played a pivotal role in selecting the city’s police chief (as chair of a high-profile search committee that emphasized the need for community engagement and accountability); and was elected to the State Senate in 2014. As a legislator, she’s been at the forefront of fights to hike the state’s minimum wage, cut costs for higher education, and promote voter registration. While Jayapal is one of the most progressive legislators in the country, she has developed a reputation for working across the lines of party and ideology to develop bipartisan support (make that tripartisan support—she’s worked closely with socialist Seattle City Council member Kshama Sawant) for a bold reform agenda. Jayapal succeeds where others do not because she sees herself as an organizer. Jayapal succeeds where others do not because she sees herself as an organizer. She wants to bring people to the table to get things done, and she knows she can do this without compromising on her commitment to economic and social justice. She says she wants to go to Congress “to fight not for the 1 percent, but for working men and women; not for austerity, but for Social Security; not for deportations and breaking up families, but for building stronger middle-class families; not for private schools, colleges, and prisons, but for public education, college-debt relief, and criminal-justice reform.” And as with Raskin and Teachout, Jayapal has a record that suggests she will come to Congress not as a backbencher, but as a leader. The seat that Jayapal hopes to win is held by retiring Democratic Congressman Jim McDermott, a progressive who played an essential role in opposing the rush to war with Iraq and has long advocated single-payer “Medicare for All” health-care reform. In the August 2 primary, Jayapal will be competing with a number of impressive candidates. (The two top finishers, no matter what their party, will face one another on the November ballot—and because the Seattle area is a progressive bastion, it’s likely that both candidates will be Democrats.) She isn’t the only candidate who supported Bernie Sanders in the state’s caucuses this year, but she is the one who’s running with a strong endorsement from Sanders, as well as from Congressional Progressive Caucus cochair Keith Ellison, climate activist Bill McKibben, feminist Gloria Steinem, 10 of her fellow state senators and dozens of local officials and activists, and groups like Friends of the Earth, the Planned Parenthood Action Fund, the National Organization for Women Political Action Committee, the NARAL Pro-Choice America PAC, Emily’s List, the Washington State Labor Council (AFL-CIO), the Progressive Change Campaign Committee, MoveOn.org, and Democracy for America. There’s a reason why Jayapal has attracted so much support, says DFA’s Neil Sroka, who predicts that “Pramila is going to be one of the bright stars of the political revolution.” We agree. When Washington State voters send Pramila Jayapal to Washington, DC, she’ll be part of a progressive wave that has the very real potential to change the direction of Congress and the country.